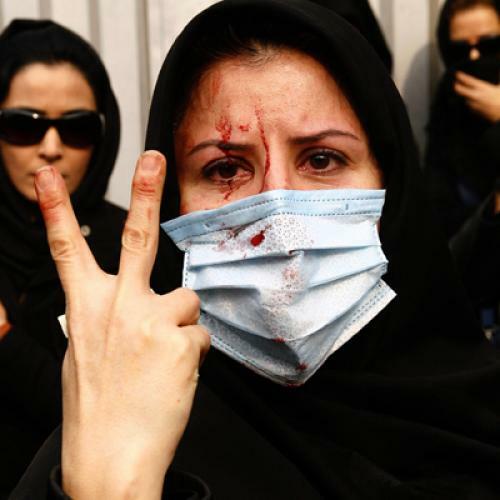 How the Iranian uprising has transformed Shiism. The Green Movement is a revolt against theocracy. Most of its adherents are young Iranians with little or no religious motivation. Yet, an iconic figure of the revolt was the nation’s highest-ranking cleric, Grand Ayatollah Hussein Ali Montazeri; and, last month, Ashura, a holy day celebrating martyrdom, occasioned some of the movement’s most massive protests. Perhaps the fact that the movement has acquired a Shia veneer shouldn’t be terribly surprising. During the past century, no social movement in Iran has succeeded without draping itself in religion or without a strong Shia contingent in its leadership. But to limit the discussion of the Green Movement’s religiosity to rhetoric and political maneuverings is to diminish the significance of the happening. The Green Movement (and the Ayatollah Khamenei’s clumsy response to it) has exacerbated a split with Shiism. It has accelerated the development of profound and potentially far-reaching doctrinal innovations. The course of the coming months will determine the extent to which these innovations will transform Shiism and Iran. You will know some of the names of the most prominent clerics who have been identified with the Green Movement: Montazeri, Rafsanjani, Karroubi. But there are other ayatollahs and theologians supporting the Greens--Yousef Sanei, Abdolkarim Soroush, Yousefi Eshkevari--who have developed a significant body of theology. Much of this work began before the recent political upheaval, but there’s no doubt that the upheaval has given this group wider sway and further radicalized its thinking. To varying degrees, thinkers and theologians identified with the democratic movement have been offering a new reading of Shiism that makes the faith more amenable to democracy and secularism. The most significant innovation—found in essays, sermons, books, and even fatwas—is the acceptance of the separation of mosque and state, the idea that religion must be limited to the private domain. Some of these thinkers refuse to afford any privileged position to the clergy’s reading and rendition of Shiism--a radical democratization of the faith. And others, like Akbar Ganji and Mostafa Malekian, have gone so far as to deny the divine origins of Koran, arguing that it is nothing but a historically specific and socially marked interpretation of a divine message by the prophet. The most daring are even opting for a historicized Muhammad, searching for the first time in Shia history for a real, not hagiographic, narrative of his life. The clear target of these new teachings is the Ayatollah Khamenei. It is important to remember that he owes his position as supreme leader to a deathbed appointment. At the time of his ascension, he was merely a junior cleric. His only purchase on the leadership position was his claim that, before dying, the Ayatollah Khomeini had named him as his chosen successor. While this may have been an unorthodox appointment, the method by which he was selected is very much within the tradition of the strain of Shiism dominant in Iran. But this tradition of appointment is under assault. Ayatollah Montazeri and others have demanded that the supreme leader be elected by the people, and that his rule must be limited in time. They even contend that the people should have the authority to impeach the supreme leader at the ballot box. Khamenei has angrily resisted this revolt within the clergy. Several seminaries and residences of these reformist ayatollahs have been attacked by hired mobs working for the regime. Then there’s the case of the Ayatollah Sanei. As I have mentioned, he is one of the most important thinkers in this new movement. But he has, in recent days, been declared unfit to be an ayatollah by the influential Qom-based cleric Ayatollah Yazdi, notorious for his corruption and conservatism. Yazdi’s statement is ominous. Sanei, who has been accepted as an ayatollah for more than twenty years, is now accused of issuing dangerous fatwas. And it’s true, Sanei has declared the value of a woman's life--or diye, in Shia parlance, the sum a murderer must pay to the family of the murdered as punishment--equal to that of a man. And he has argued that girls should not be married off at the age of nine. But there are very, very few precedents for this sort of defrocking. Already, there’s loud opposition to the persecution of Ayatollah Sanei. It is widely seen as the regime's preemptive attack on a cleric who could fill the place of Montazeri and become the new spearhead of clerical opposition to the regime. It will be fascinating to see whether Ayatollah Sistani--the senior Iraqi-based cleric and a leading exponent of quietism--will weigh in on this historic breach of clerical independence. Sanei’s case could become a touchstone in this battle over the future of Shiism--the battle between one strand of increasingly rational Shiism and another strand that grows ever more messianic and superstitious. Abbas Milani is a contributing editor of The New Republic and the Hamid and Christina Moghadam Director of Iranian Studies at Stanford, where he is the co-director of the Iran Democracy Project. His latest book is Eminent Persians: The Men and Women who Made Modern Iran, 1941-1979.